Bottle Drive For Beagles Happening Now! #Sackville | Sack-Vegas!!!! 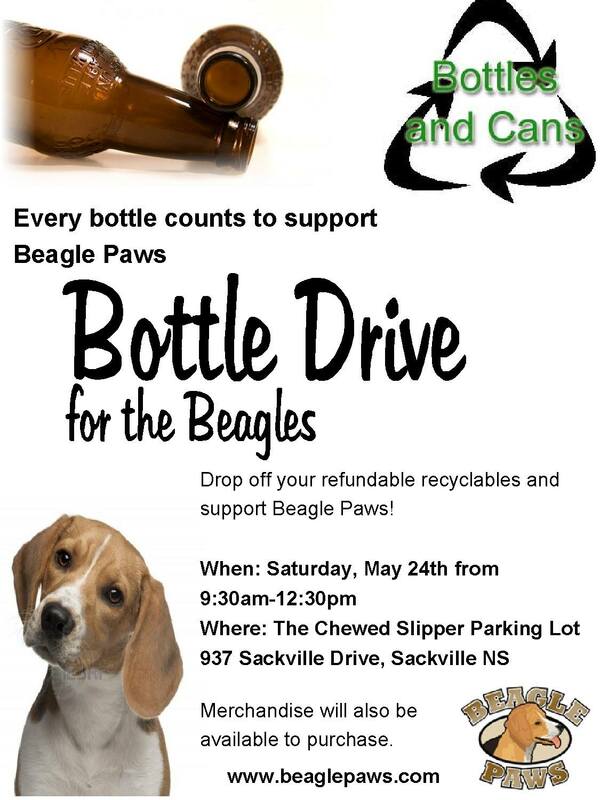 Today is the day for our Bottle Drive in support of Beagle Paws at The Chewed Slipper (Sackville Drive) from 9:30 to 12:30. Please consider dropping off your refundable recyclables to help the beagles! It turns out that our sweet Rupurt needs to have a dental done (which is quite costly) and so we are hoping to help cover the costs of this surgery at tomorrow’s event. There will also be some great magnets and other merchandise for sale. We hope to see you there! Posted by Sacky on May 24, 2014 in Community Events.